Much like a book, life is broken into chapters. For many of us, life can be broken into a series of novels, each one slightly different to the other. That is why we should never set in stone who we are, because we are ever evolving. 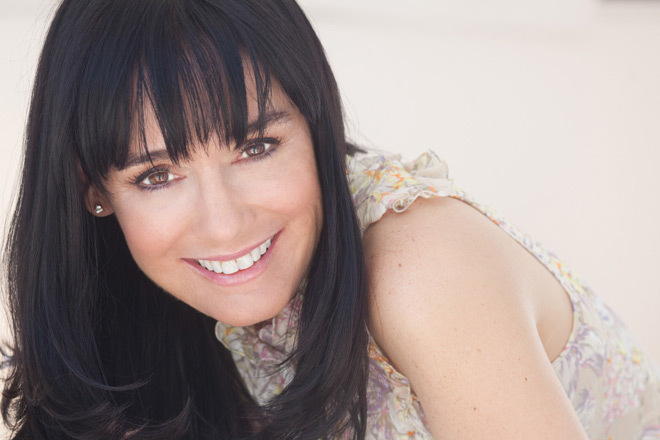 That all in mind, while growing up out in Southern California, Jill Schoelen always had a spark for entertaining, whether it be singing or acting in film and television. Surrounded by creative inspiration much of her life, Schoelen would find success during the 1980s starring in a list of films including 1986’s Babes in Toyland, 1987’s The Stepfather, 1989’s Cutting Class, 1991’s Popcorn, and 1994’s There Goes My Baby, just to name a few. 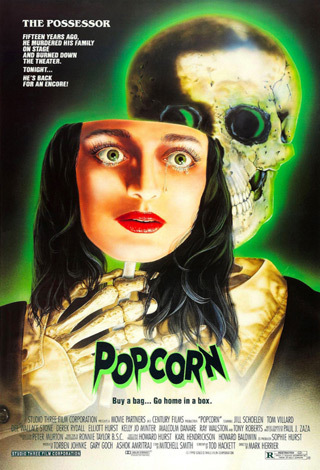 Adored in the Horror community for her roles in some of the decades most memorable flicks, Schoelen is certainly not limited to one genre, having shown a mass of talent to act in various other areas. Stepping away from the carousel that is Hollywood in recent years, now Schoelen looks to rediscover a career in film, both as actress, as well as a director. An energetic, hopeful, and inspired personality, recently she sat down to talk her experiences in film, her role in 1987’s The Stepfather, her love for music, plans for the future, plus more. CrypticRock.com – You have been involved in acting professionally for over 35 years now. In that time, you have starred in a list of films. First, briefly tell us, what inspired you to pursue a career in acting? 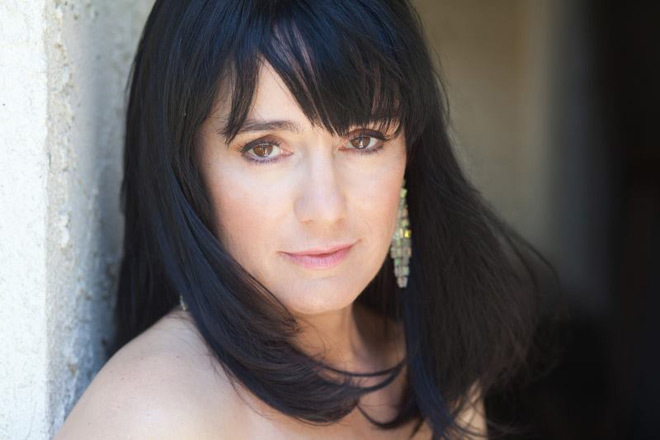 Jill Schoelen – Well, it started with music. I started singing at a very young age, not trying to, it just came organically. My first agent I had, I was around 14 or 15, and they picked me up as a client because they heard me sing – I would play my guitar and sing all over the place in the San Fernando Valley. That’s how I got started down that path. I didn’t set out to be an actress, I was just singing and that is how it happened. That led to singing jobs, all my first jobs were singing and dancing commercials. I didn’t do a Dr Pepper commercial, but going way back there used to be a Dr Pepper musical commercial, and that segued into a whole bunch of popular singing/dancing commercials. My first acting job was also singing/dancing in an ABC pilot called Best of Times. Then, little by little, the acting took a very strong hold of my career. CrypticRock.com – It is interesting how one thing led to another. Seeing you initially began in television prior to going on to film, how would you compare the two? Jill Schoelen – It was very different then. Then, you did commercials, you stepped into television, then there were features. The girls who were doing features, where eventually I went to, like my agents at the time, really let me do next to no television. They never put me up for series regulars or anything like that, it was considered I was a feature girl. Now, it’s completely different, now the television is absolutely fantastic. In my opinion, it’s hard to come up with a good film these days, but there is a ton of great, great television out there. CrypticRock.com – That is very true. It seems that television has taken the place of features. There is a lot of high quality television series on cable and network television. Jill Schoelen – Yes, I personally think because of the internet, talent has been unleashed. Historically in the film business, there were so many gatekeepers for actors to be seen for roles and young, talented directors/writers. The internet has just unleashed talent. I think that is why you see so many great productions now in television. Not very many people would have gotten through in the old system. CrypticRock.com – Yes, it has opened up a lot of doors for many who would not have the opportunity otherwise. 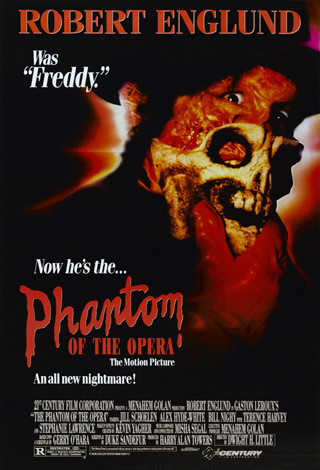 You have played a diverse mix of roles but have been in a variety of Horror films including The Stepfather (1987), Cutting Class (1989), Curse II: The Bite (1989), The Phantom of the Opera (1989), and Popcorn (1991). That in mind, do you enjoy working in the Horror genre, or was it sort of something you just fell into? 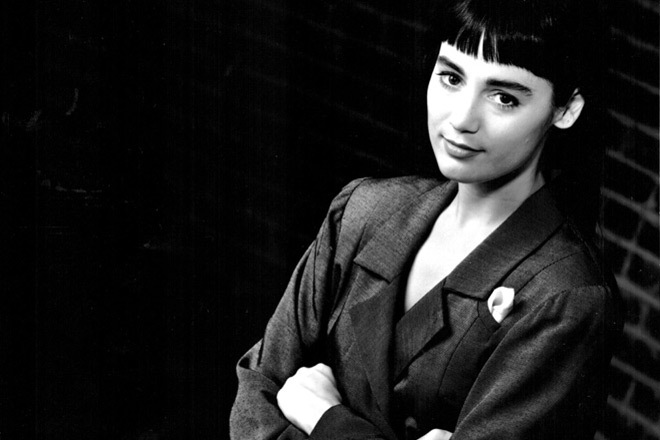 Jill Schoelen – Well, I was in the Horror genre, but I wasn’t. It all started with a TV movie from Wes Craven called Chiller. That was the first thing I did in the genre, but the first feature I did in the genre was The Stepfather, but that was really more to me crime, drama, and suspense. I just saw it that way. It did land me in all of that genre though. I still did a lot of other work. I still don’t think of myself as a total Horror person. As time goes on, the fans of Horror are so fantastic! They keep careers of actors alive, and keep these movies alive, where a lot of other films, not in the genre, really have fallen to the wayside and forgotten. I think it’s the fan who deserve tremendous credit for keeping so many of these films alive. CrypticRock.com – Yes, Horror fans are very dedicated to the genre. 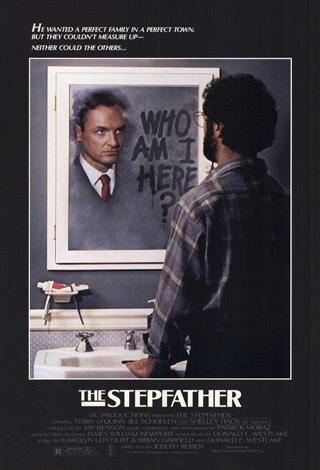 Speaking of The Stepfather, you actually attained an award for your work in that film. 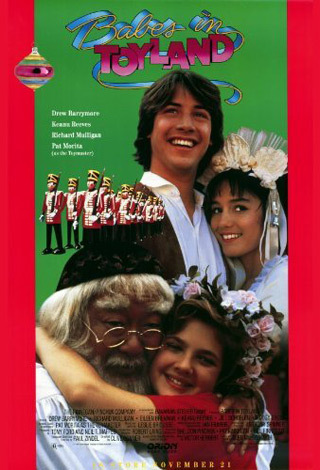 The film recently turned 30 years old last year and remains a favorite among fans. What was your experience like on the set of The Stepfather? Jill Schoelen – I loved it! It was by far one of my favorite films to work on. The production was lovely, it was a small movie, no doubt. It wasn’t some big production with an endless budget, but it had a decent budget for a small movie. I don’t know what it was, but I am just saying from my experience on sets. Here is the thing, everyone associated with the film was professional. Everyone had their role, whether it was the director, director of photography, producer, set designer, makeup. Anybody who worked on the film was a highly professional person. They did their job the best, rather than people learning on the job and that scenario. CrypticRock.com – It sounds like it was a great experience. You mentioned how you looked at the film as more a Crime/Thriller, you are right. It certainly has an eerie quality to it. It is even more effective to think some of the back-story is actually based on a true story. Were you aware of that at the time of filming? Jill Schoelen – I was aware of it. I then remember I saw the TV movie which was really based on the actual events. It wasn’t that far off, the premise was basically the exact same premise. It took place in the Northwest portion of America where the real story was. CrypticRock.com – It is pretty creepy to think in the real story the individual got away with it for over 20 years. Jill Schoelen – I never got into those details. Sometimes when you are playing a part, having limited knowledge is better, because you are not playing a resolute. I tried to really keep to her experience when I was working on it. All this other information, I really learned later a couple of years after we made the film. CrypticRock.com – You did a great job with the role. That passion translated on screen. After The Stepfather, you went on to other films such as Cutting Class, co-starring alongside Brad Pitt. 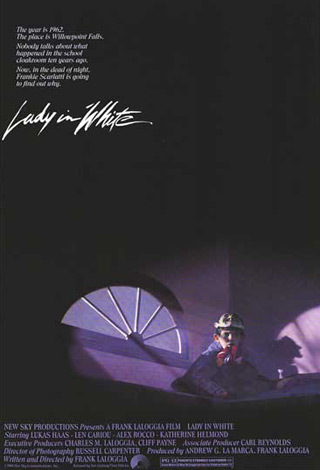 Interestingly, it was filmed in 1987, but was not released until 2 years later. It is fascinating how some films are not released until much after they are completed. Jill Schoelen – Yes, I did a movie called There Goes My Baby (1984) for Orion Pictures. 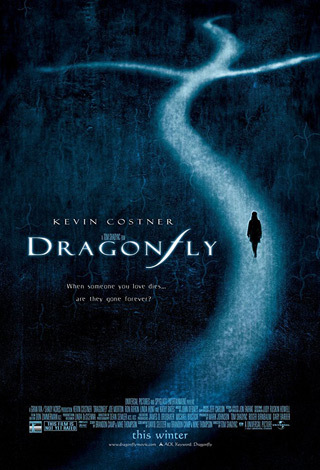 It was a really interesting little film, it had a great little cast – Dermot Mulroney, Rick Schroder, Kelli Williams, myself, and Paul Gleason. That movie was in that small bundle of films that got lost when Orion Pictures went bankrupt. That movie never had a proper edit and sat there. They eventually released it, but I don’t think it was the same level as editing and other aspects in the post-production that maybe would have been had it not got lost in that experience. CrypticRock.com – Interesting. Fans will have to check it out if they have not seen it. Jill Schoelen –It’s not Horror! I sing in that, I was hired because of the singing and acting. CrypticRock.com – You mentioned about your love for music, that is how it all started for you. You released an album back in 2009. That was your debut album? Jill Schoelen –I had actually done a fair amount of music prior to that, but I never made an actual record. I had left the business and I was going through a pretty tough time. My best friend passed away, Kelly Troup, the name of the record is Kelly’s Smile. That song, “Kelly’s Smile,” is written by her dad, who is famed for writing the hit song “Route 66.” So they lived across the street from me, Kelly was my best friend, I grew up with her. She had passed away, I was going through my divorce, which was really hard – divorce is not fun emotionally, it is just really hard on your heart to get a divorce. Those are two huge things that had happened. That is why I did that record, that is what propelled me. I was getting this divorce, I left my career, and my career really started with music. All of a sudden it felt like, now what? Now what am I going to do? Kelly’s mom and dad were on a TV show called Emergency! Her mom, Julie London, was a famous Jazz singer, she had a number 1 hit song called “Cry Me a River.” Julie and Bobby Troup (her dad) always as a kid, between 12-17, had me come over with my guitar and sing for their company. This was a regular occasion, this was not once a year, it was 2-3 times a week. I would sing all the time and sometimes we would just sit around their family. I would bring my guitar and Bobby would play the piano. Bobby could only play the piano in 2 keys, even though he was a masterful writer and a musician. I wasn’t much better at the guitar. (laughs) We fumbled our way and we did music for years. 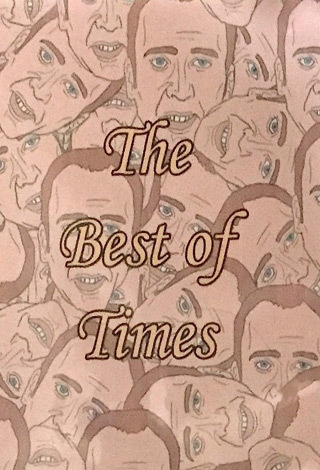 So, when I got my divorce, and was in the “what now phase,” I felt like I really needed to do this record. All the music relates back to my years I spent with that family and the music they exposed me to. CrypticRock.com – Wow, it sounds like a really personal experience. Do you have some new music coming out? Jill Schoelen – I would love to! I have some ideas for a couple of records. I always like to tell a story, and I think for me, I like thematic records, I just like them. Records as a whole, even with 10 songs, still tell one story in a sense. They just have a theme about them. I would love to put together a record. I am so divided right now with my time reinventing my life – it’s a really interesting thing to reinvent your life. (Laughs) I would love to do it, but that will demand a large portion of time in one direction. I don’t have that time right now, but I am very hopefully that time will be there again. I would love to make a few records in the future. CrypticRock.com – That would really be exciting to hear some new music, especially since it is really your roots. Jill Schoelen – It never stops. I have a really good friend of mine, Denise Donatelli. This woman has now had, in 8-9 years, 3 of her records nominated for best Jazz records of the year at The Grammys! There is a timetable on parts you can get in a film, because that is a visual media, but that is the great thing about music, hopefully it is timeless. CrypticRock.com – Absolutely! There is something very special about music. You play guitar and write music. What are some of your musical influences? Jill Schoelen – I have always like stories. I guess some of my favorite music has a little bit of a Folk thing maybe. I like songs that have super strong lyrics and that are melodic. A lot of the music today is just too much noise for me. I like songs that have space, I like to find what’s in between, if that makes any sense! (Laughs) I still like music that is more melodic and not so filled, it just feels like they take the whole space in music today. I have always loved Jazz standards. When I was young, a teenager, I used to, in my secret private world, I would think, “I was born too late.” (Laughs) I just loved that music, it just spoke to me. CrypticRock.com – A lot people who are passionate about music can relate to that feeling. Many find a comfort in music prior to their time. Perhaps it is because our parents turn us on to it and it grows from there. Jill Schoelen – Yea, it’s so true. I feel that way about my mom. She was a real lover of Jazz. I also had an aunt who was a tap dancer. We had a little bit of an entertainment bug in our family as music lovers. The influence of a family member is so very strong when they expose it to us. There was a time on television, come around 11 o’clock at night, there was nothing on, I mean nothing. There were 1 or 2 stations that you could find that played all the old black and white movies and musicals. I used to love watching the old movies, don’t know why, but I loved them. CrypticRock.com – Good music and film is timeless, so it should not matter the age. CrypticRock.com – That is really fantastic! Shows you how timeless art truly is. You mentioned how you stepped away from film for a while, taking a different path. Is there a possibility of you doing features again at some point in the future? Jill Schoelen – Yes. What is very odd about that is it was not very long ago when I just said “no” to everything over all these years. I really thought that part of my life was behind me, even after I got a divorce. I think really the thing that has made the difference to being open to it again is my boy, my boys are grown up and out of the house. I am just looking at life differently. Last year, I went out and did a couple of shows and met people, I did some 5 years ago, but I really don’t do them. I have always had a really strong interest in producing and directing. Back when I was making movies, I always kind of tied myself to being near the camera with the DP (Director of Photography) and director as opposed to just going to my trailer and sitting there. I have always had a very strong interest in storytelling, that is the same way I am with the music. If it doesn’t have something to say and touch upon humanity in a real way that touches the heart, spirit, and mind, it doesn’t make sense to do it. Of course, I have done movies that don’t touch on all those levels, but I really prefer that. Yes, I would love to do something again, but have been out of the business for a long time, it is not like they are banging down the door. (Laughs) It comes up, a few scripts have come my way and they weren’t something I thought if I do work that I would want to do. I know something will come by. I am going to be directing a feature film. CrypticRock.com – That is great. What can you tell us about the film? Jill Schoelen – It’s called Howard Lake, it is a true story that took place in 1897 in Minnesota. It’s a young 19 year old girl and her 60 year old new husband, they were murdered, it was a double axe murder. Multiple people in a 2 year period went up on murder charges and they could never convict anyone. The family, to this day, still sit with this unsolved murder. The family wants to explore this story. In fact, I am going to Minnesota to go to the house on Howard Lake, where there is still the original blood stains from the murder. I will look at the location, meet the family, and talk about the movie. It is still in development, but they made me an offer to direct it. People that know I sometimes work with actors, and sometimes actors will hire me on set to coach them on film. People have confidence in me in that way, they have asked me to direct this film. I will also be directing a short film called Moonchaser in May. CrypticRock.com – It sounds like it is a very compelling story. It will be exciting to see what comes of it all. Last question. If you have seen any new Horror/Sci-Fi related films lately, what were some of your favorite? Jill Schoelen – There are ones I appreciate and ones I like. For instance, I have never seen The Exorcist, because I can’t get through it. I think that says a lot for that film. It is so terrifying to me still to this day, that when I see it on DirecTV, I scroll past it as fast as I can, I don’t even want to see the words. (Laughs) It just terrifies me, cannot watch it or get through it. I tend to like the more ethereal movies, not so much slice and dice. CrypticRock.com – Understandable. There are some really fantastic films that are more in that realm. As someone who loves film, have you seen Rosemary’s Baby (1968)? CrypticRock.com – That is a interesting perspective. You are not nuts, because nothing is impossible. Films like The Exorcist does truly instill a fear in one’s self. Jill Schoelen – It does. Also, another recent film in the past few years which I thought was exceptional was The Conjuring (2013). I only saw it once when it came out, but I was highly impressed with that film. When I saw The Conjuring, that was really the first movie in over a decade I saw in that genre, that as well as The Sixth Sense (1999) and Signs (2002). I thought if I ever work again, that is the kind of director I’d want to work for.